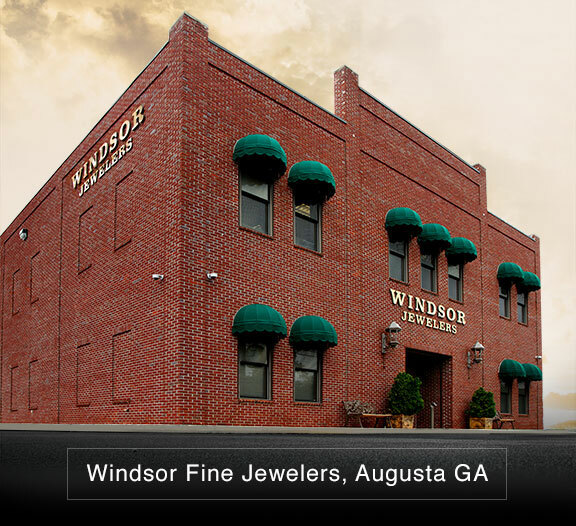 Welcome to Windsor Fine Jewelers! What would it take for us to become your jeweler? A better selection? A better price? More exclusivity? Less exclusivity? A larger staff? A more knowledgeable staff? We’re one of the top ten largest independent jewelers in America and we want to be your jeweler. We carry many of the finest brands in jewelry, we have a full service repair center and several GIA certified gemologists on site. We’re open Monday through Saturday, 9am-9pm and you can call us at (706) 738-7777. Windsor has been in business in Augusta since 1975. Not because of luck or hard work, but because of the friends and customers that we’ve made from the day our doors opened. We exist because of you and we approach the future with gratitude for the years we’ve been given. Our sales staff are more like milestone librarians. They make note of names and dates. They record styles, colors and items mentioned. They become a valued go-to-source when you need the perfect gift idea and many times they know beforehand that you needed it. Windsor’s staff is also notorious for not giving sales pitches. We do not hold sales strategy meetings. Wouldn’t it be nice to speak to an inventory concierge instead of a salesperson? No one wants to be “sold to”, they’d rather be helped or befriended. Our strategy is to do exactly that and to help you locate what you walked in to find. It’s not like that with most stores. When you have a $50 million dollar inventory the sheer selection doesn’t force a staff to guide sales to a narrow selection. It’s like the larger our store became, the easier it became to meet our customer’s needs. We work hard to look for product for upcoming occasions even when you are not here. We keep individuals in mind when the newest product hits the door – if it fits your style, we let you know that we may have something you’ll like. That’s the effort that it takes and treating our customers in such a way, comes naturally to our staff. It’s exactly how we would want to be treated. We would love for you to meet an employee that you feel you can connect with. We hope to have the opportunity to serve you soon.